What the Eyes Don't See NPR coverage of What the Eyes Don't See: A Story of Crisis, Resistance, and Hope in an American City by Mona Hanna-Attisha. News, author interviews, critics' picks and more. 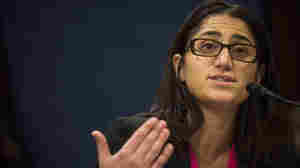 June 25, 2018  After warning of elevated lead levels in her patients in Flint, Mich., Dr. Mona Hanna-Attisha faced a backlash: "The state said that I was an unfortunate researcher, that I was causing near-hysteria."